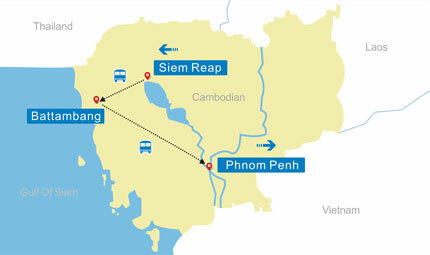 Upon arrival at Siem Riep Airport, you will be met and transferred to your hotel. 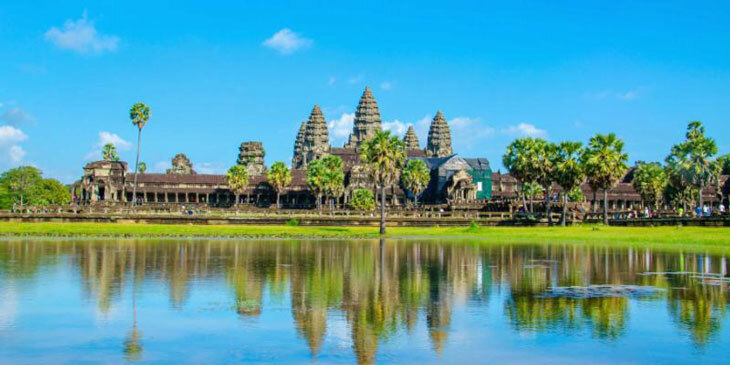 The town of Siem Reap is our base for visiting the world famous temples of the ancient city of Angkor, which was the capital of the powerful Khmer Empire from 802 AD to 1350 AD. No activities are planned, so you can stroll around the town or relax at the hotel for the rest of the day. 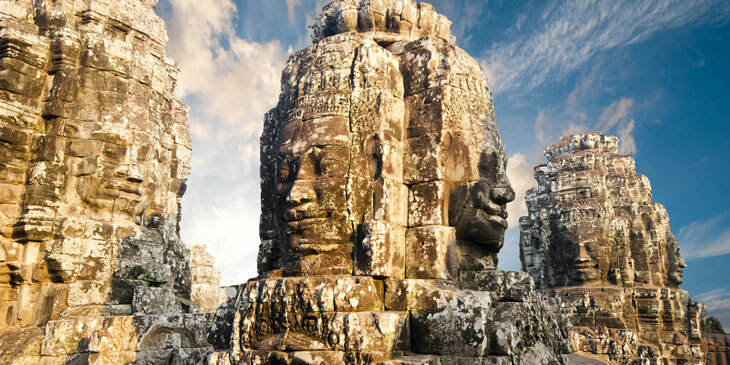 Today you will spend a full day exploring the wondrous ancient ruins within the South Gate of Angkor Thom, which is famous for its series of colossal human faces carved in stone, the impressive Bayon Temple, the Royal Enclosure, Phimeanakas, the Elephant Terrace, the Terrace of the Leper King and the largest temple of Angkor Wat. This architectural masterpiece was constructed in the 12th Century and covers an area of about 210 hectares. You will stroll around this massive edifice, seeing the many galleries, with ornate columns, libraries, pavilions, courtyards and ponds reflecting the towering temple. Next, you’ll walk up Phnom Bakheng Hill for a view of the spectacular sunset overlooking sandstone monuments. 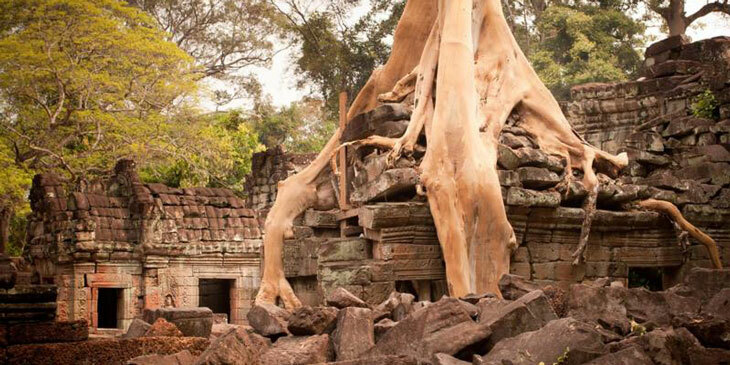 The jungle covered temple of Ta Prohm is an incredible sight. There are enormous fig trees and gigantic creepers which have entwined themselves in the stone foundations of the structure, giving the impression of man's creation being reclaimed by the powerful forces of nature. You will explore this masterpiece, as well as some of the surrounding temples, including Banteay Kdei, Sra Srong, Ta Keo, Thommanon and Chau Say Tevado. The grand circuit through Preah Khan, Kravan, Neak Pean, Ta Som, East Mebon and Pre Rup Temples will also be on your journey. After breakfast at your hotel, you will drive to visit Kbal Spean, which is 50km northeast of Siem Reap and 18km from Banteay Srei. The original "River of a Thousand Lingams" (Kbal Spean) is an intricately carved riverbed deep in the foothills of the Cambodian jungle. You will visit Banteay Srei Temple (10th Century), which is regarded as the crown jewel of classical Khmer art. 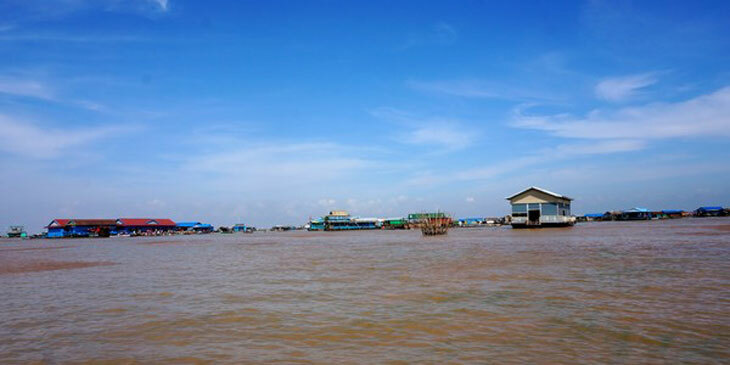 You’ll next go back to the hotel and later board a boat on Tonle Sap Lake. Here, you’ll enjoy a brief cruise past floating villages, complete with schools, restaurants, hospitals, and Les Artisan D'angkor or “rolling local market” for shopping. After breakfast, you will have private transport to Battambang, where you will check in to your hotel. In the afternoon, you’ll enjoy a Battambang city tour, visiting the colonial buildings, local villages, and the local fish market before taking a bamboo train to Wat Phnom Sampov. Once in Wat Phnom Sampov, you’ll witness the daily life of people along the Sangke River before retiring for the evening in Battambang. After breakfast, you will depart for Phnom Penh (290km – 4 hrs drive). 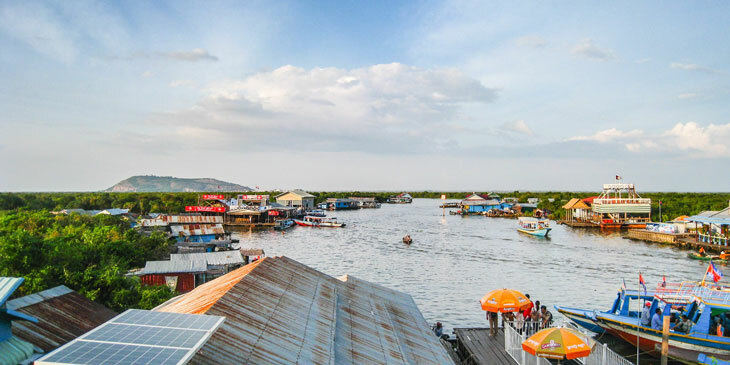 After you travel along the National Road No.5, through some beautiful countryside, you’ll reach the Floating Village and Oudong Mountain, before arriving in Phnom Penh and checking in. The rest of the day is free for you to relax or explore before an overnight stay. After breakfast, you’ll discover the city of Phnom Penh. Here, you’ll visit Wat Phnom (an ancient pagoda standing on a hill) and the Independence Monument which commemorates the end of Cambodia's rule by France in 1953. There is also Wat Unalom (the oldest Buddhist foundation in the city) which is believed to predate the abandonment of the capital at Angkor in the 15th Century. 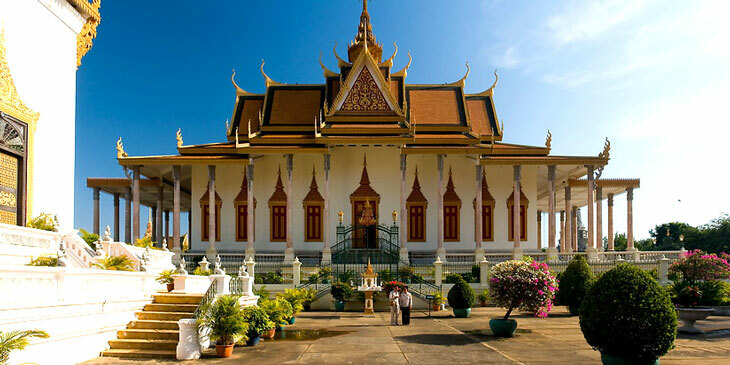 The National Museum (built in 1917-18) is exclusively dedicated to Khmer arts. The Royal Palace (built in 1866) and the Silver Pagoda, located within the Royal Palace compound, will also be on the tour. You will then continue to the famous Tuol Sleng Museum and Cheung Ek (better known as the “killing fields”) which is a testament to the atrocities of war and which is the site of numerous mass graves. You’ll then return to your hotel for an overnight stay. After breakfast at your hotel, you are free to explore or relax at your leisure until you are escorted to Phnom Penh Airport for your departing flight to your next destination.